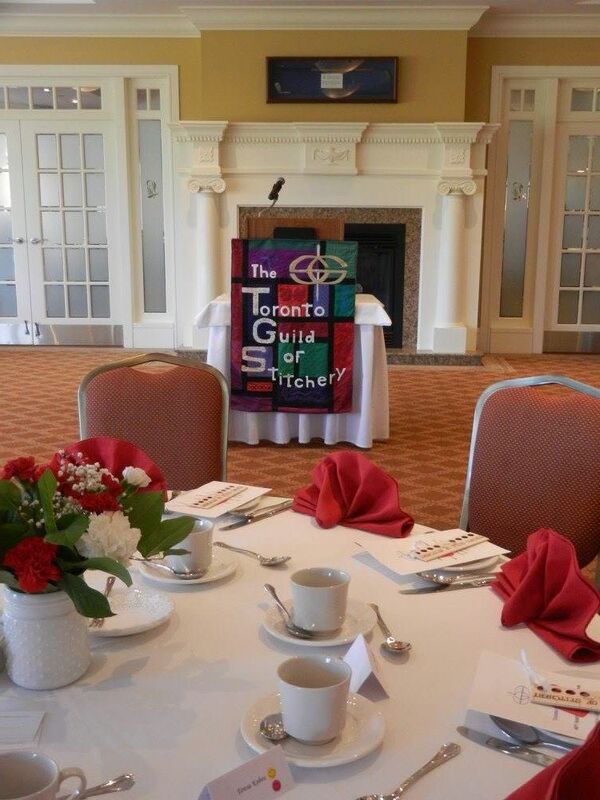 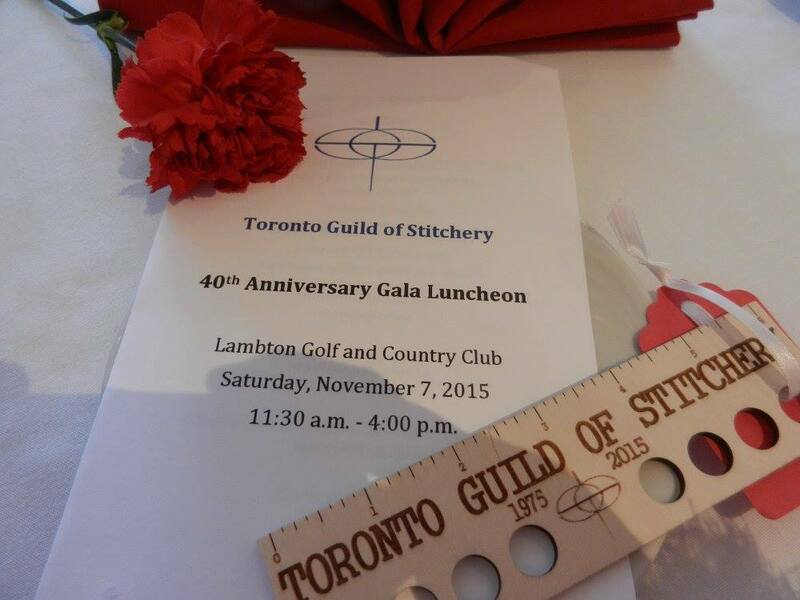 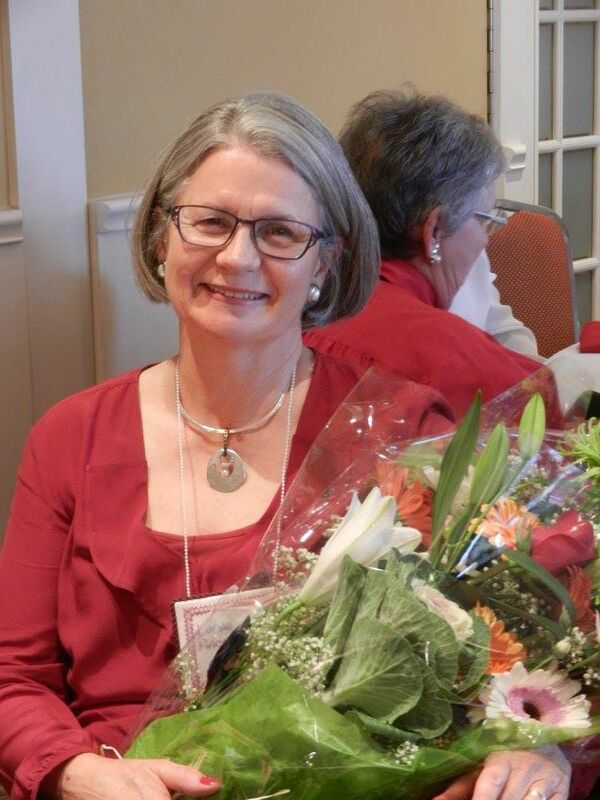 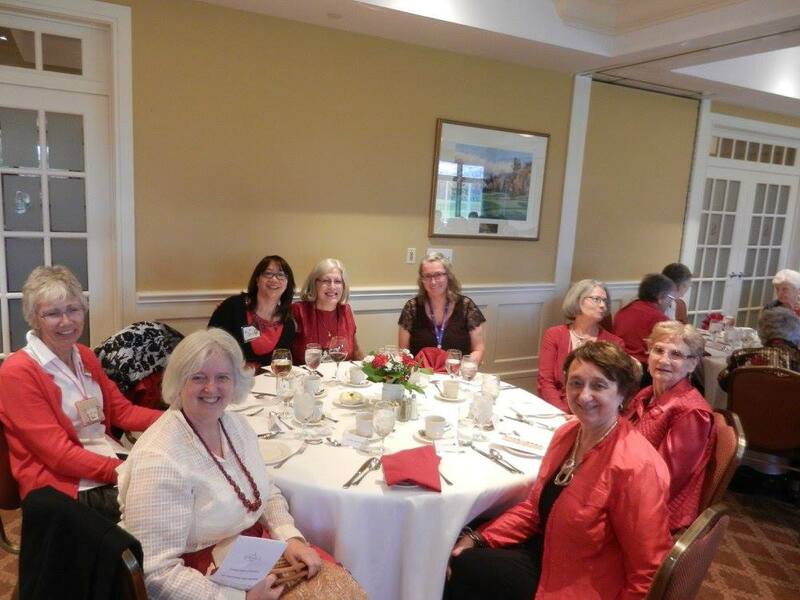 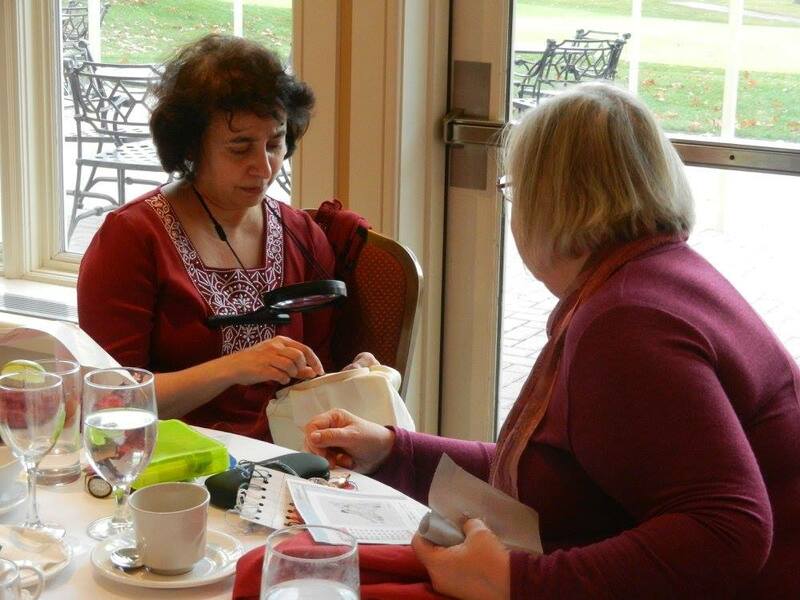 On Saturday November 7th, 2015 sixty-three members of the Toronto Guild of Stitchery gathered at the Lambton Golf and Country Club for the final celebration of 40 years of stitching together. Lambton Golf and Country Club is like an oasis in the city of Toronto. 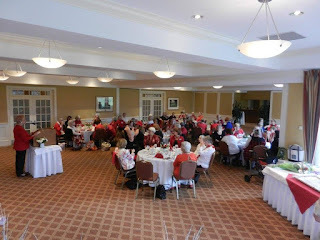 The wall of windows in the banquet room allowed us to view the elegant grounds that displayed the changing fall colours. The theme for the year has been the colour red – red for ruby. How wonderful to see so many participants wearing this celebratory colour at the luncheon! Tables were elegantly dressed in white linens with red napkins and a delicate arrangement of red and white carnations as the centerpiece. 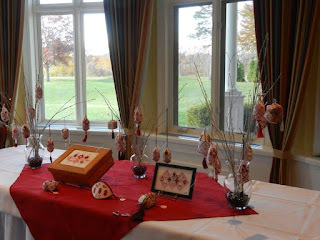 In the window alcove we had an elegant display of our carefully stitched unique creative ornaments – 23 in total. 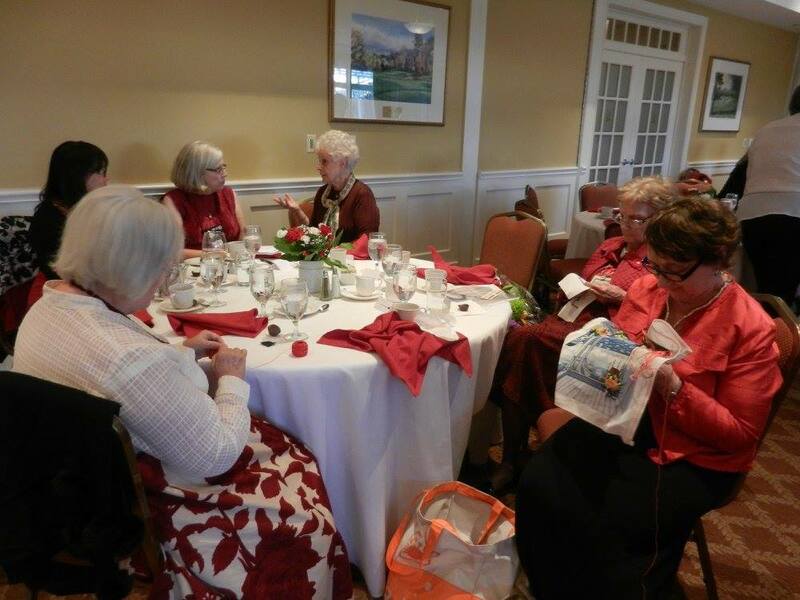 Thank you members for sharing your work. We dined on a delicious squash soup, followed by a stuffed chicken breast supreme or orange roughy with a finale of a delectable apple strudel. Thanks to Lorna Anderson our generous sponsor, who also treated us to chocolate truffles and and lemon wafers to top off the lovely lunch. Tables echoed with delightful conversations. 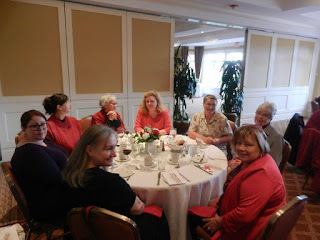 Gratitude goes to Victoria Moorshead for masterminding the clever stitching trivia cards to encourage challenging our knowledge of the finer points of stitching. 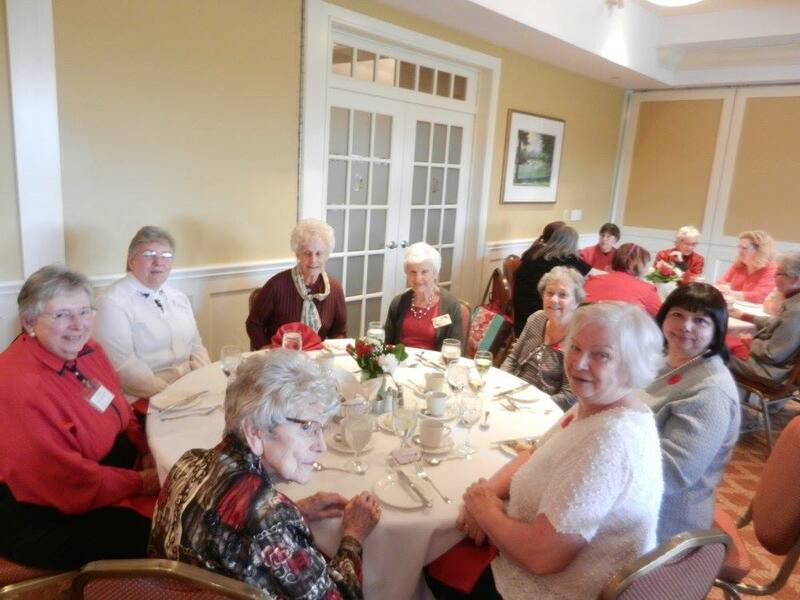 We were very fortunate to have two lifetime members join us for this event, Bea McQuade and Bobbie LaSueur. 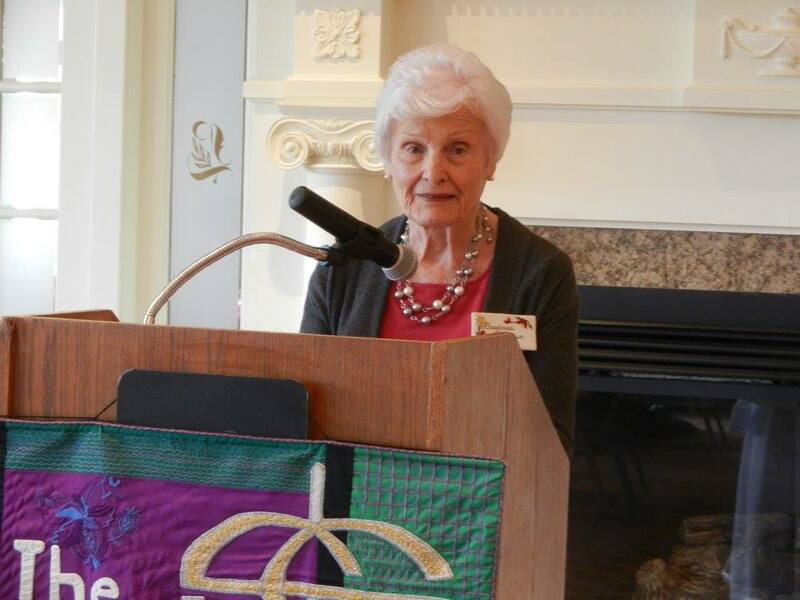 Bobbie provided us with a delightful recapitulation of the beginnings of our wonderful Guild including how we became a part of the Embroidery Association of Canada. 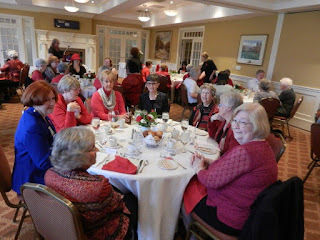 Our esteemed president, Lisa Carlin, provided us with an enchanting review of the many creative and pleasurable events over recent years. Lorna Anderson kindly provided us with a brief history of Lambton from 1902 to the present. 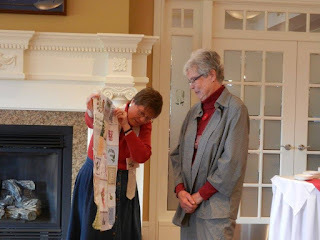 In our acknowledgements we presented a handmade quilt made up of different carefully stitched pieces by members of our guild to Mary Wahl, a long time member and pillar both creatively and administratively to our Guild. Definitely a day to remember! 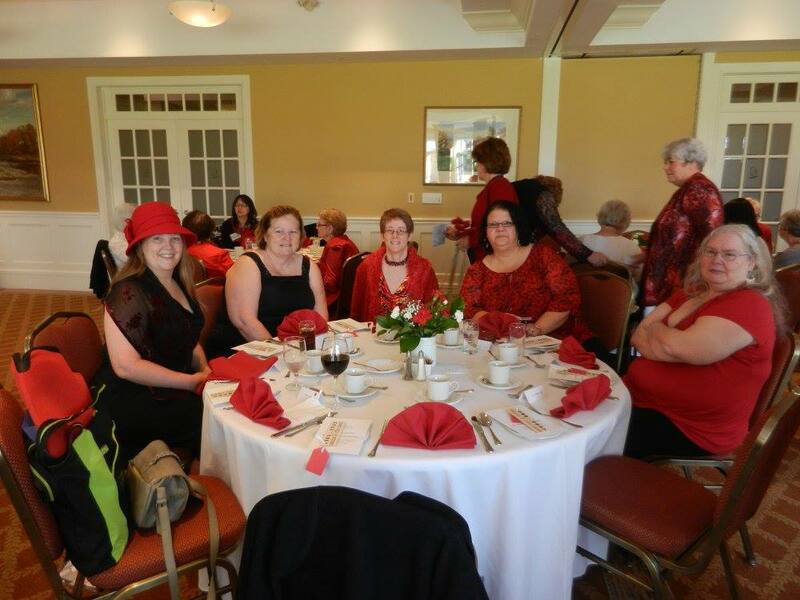 Thank you for sharing your celebration with all of us through these photos!